This very popular revision guide, originally published in its first edition as General Pathology Vivas, is packed with useful information in A-Z format covering the essentials of pathology for examination candidates. This edition, first published in 2006, includes many updated entries. This very popular revision guide, originally published in its first edition as General Pathology Vivas, is packed with useful information in A-Z format covering the essentials of pathology for examination candidates. This accessible and informative text will help to dispel some of the anxiety facing those studying for their viva or oral examinations. It has been written by a pathologist with many years of experience teaching pathology. 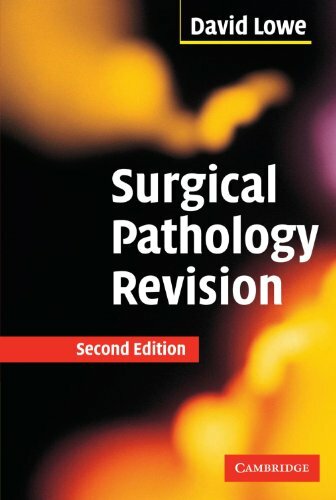 This edition, first published in 2006, includes many updated entries to provide even broader coverage of the key topics and concepts that are an essential prerequisite to understanding basic pathology. This concise account is aimed at undergraduate medical candidates and for the oral parts of the MRCS, MRCP and FRCOG examinations. It will also serve as a valuable aide memoire for the junior surgeon or doctor at all levels of experience, especially those training junior staff themselves.